The Northshire Poetry Reading Group will meet on Wednesday August 27th at 5pm in the bookstore conference room for a discussion of : Moon Before Morning by W. S. Merwin. If you are a member of this reading group, please stop by the bookstore to pick up your reserved copy of this month's title and receive a 20% discount. W. S. Merwin's book The Art of Losing was available from LibraryThing Early Reviewers. 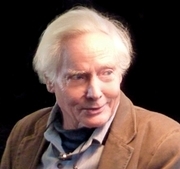 W. S. Merwin is currently considered a "single author." If one or more works are by a distinct, homonymous authors, go ahead and split the author. W. S. Merwin is composed of 9 names. You can examine and separate out names.